This post will be talking about HBO’s Game of Thrones, specifically events that took place during the fifth season episode Hardhome and how it relates to previous seasons. Hardhome was an amazing episode, possibly the best of the series, and if you’re not caught up I’d hate to spoil you on that experience. TRICK OR TREAT! Just no spoilers please! Or healthy snacks. 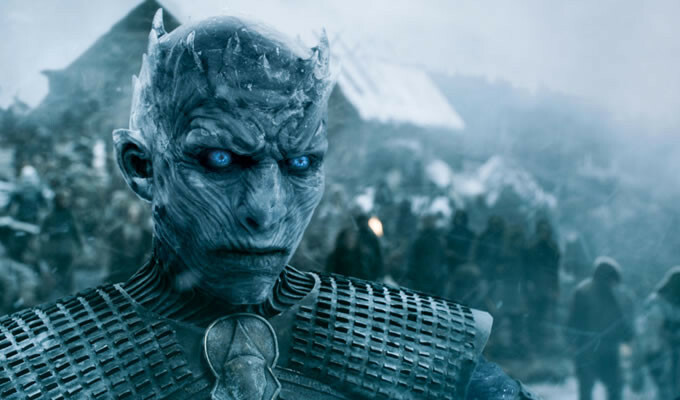 Hardhome featured a battle involving the undead army controlled by the mysterious and mystical Others. The legendary White Walkers directed their wights to attack the fortified Free Folk fishing village of Hardhome, and corpses did so en masse, tearing through the Wildling and Night’s Watch defenders. To make matters worse, the human casualties were resurrected to join Team White Walker. Spoooooky! It was a shocking event and a satisfying payoff to the horde of wights’ reveal in the season two finale, when the Night’s Watch ranging expedition that had bivouaced at the rocky Fist of the First Men were attacked by the walking dead. We all remember that right? 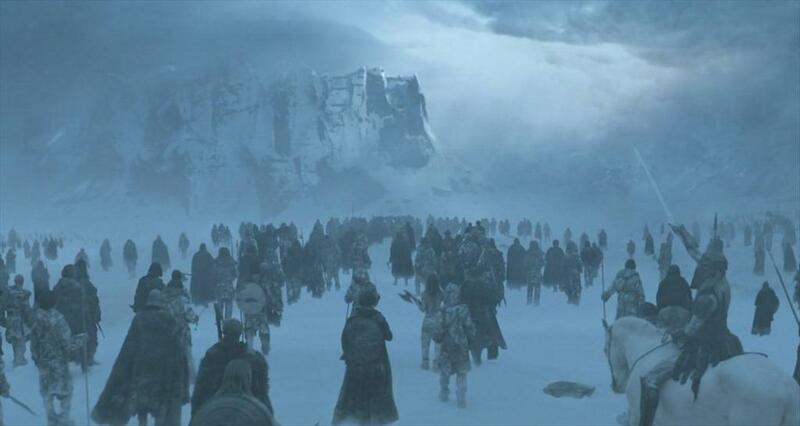 Season 3 started with a recap, showing Sam Tarly eyeballing an army of undead soldiers moving towards the rocky bluff of the Night’s Watch encampment. Then there was an amazing battle, where the army of the dead scaled the sheer sides of the Fist of the First Men, butchering the Night’s Watch brothers and sending them fleeing back towards the Wall. Okay, I’m being a smartass. After the recap, season three presented us with a black screen and the sounds of battle, then the view resolved onto a windswept promontory. MAYBE it was supposed to show the First of the First Men. With no humans left. 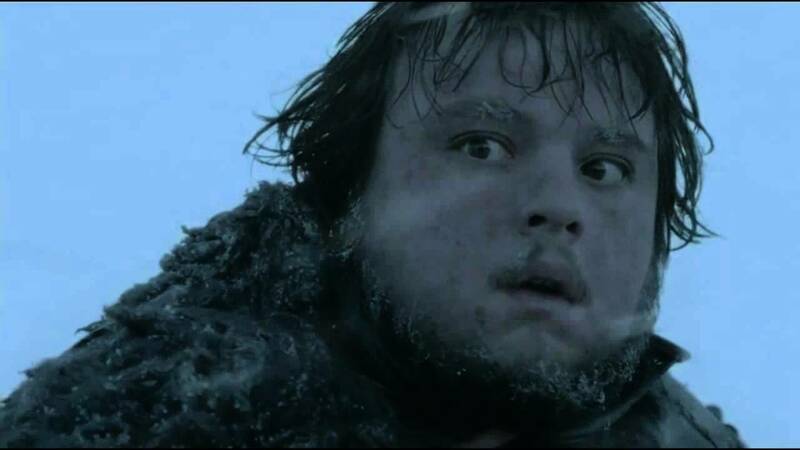 Then the scene cut to Sam Tarly running in the snow, pursued by a wight. Jon’s direwolf Ghost held it back and the surviving Night’s Watch brothers arrived and set it on fire. Mormont and his men looked dishevelled and had injuries, indicating that they had been in a fight. And that’s all the clues that the show gave us that a fight between the living and the dead just took place, and that the forces of the living were on the losing end. Some details get reinforced. 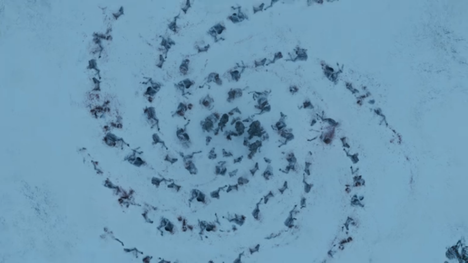 In a later episode, Mance Rayder and a scouting force come to the Fist of the First Men, and discover that the horses used by the ranging expedition had been slaughtered and arranged in an artistic mandala. The SPOOOOOKY Spiral! The Galaxy of Oh Gross! This is kind of a visual signature of the Others, who did something similar with a band of Wildlings from the pilot episode. The Living and the Dead: Which is More Consistent? 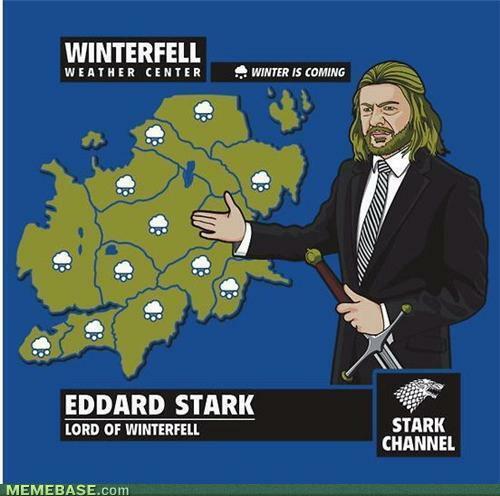 In the following seasons, viewers would occasionally wonder just where the White Walkers and their undead army were. They’d attacked the Night’s Watch, but then the army seemed to vanish, or at least wasn’t on the move to do anything else. 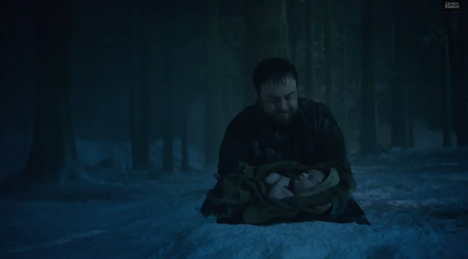 Other than send a White Walker after Sam, or pick up a baby delivery at Craster’s Keep. 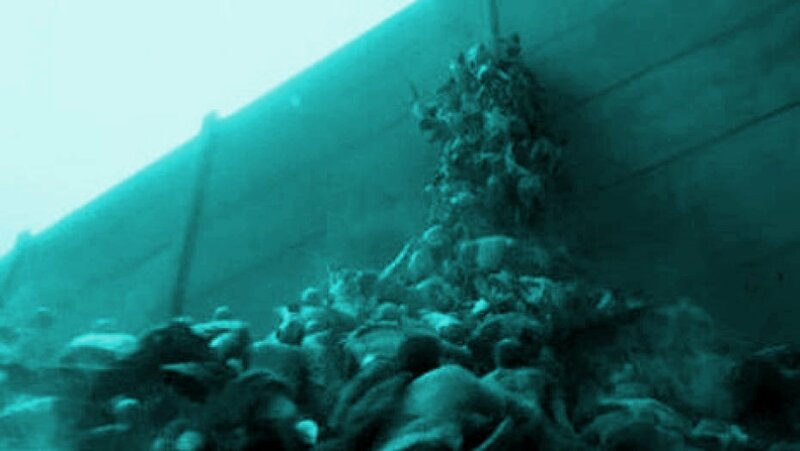 Eventually the hellish army came into view during the Hardhome episode, where the wights chewed through Wildling refugees with terrifying efficiency. This was probably the first time that the show really communicated the threat of the White Walkers, and that it was no joke that Winter was coming. I’m not going to complain about how many seasons it took for the threat of the undead army to be felt to viewers. After all, the show gave us the chance to see how the Wall was under-defended by the skeleton crew Night’s Watch when the Wildlings attacked. How much of a chance would they have against an army made up of skeletons? Hopefully we won’t have to wait seasons and seasons before we see the shambling horde again. They certainly made an impression on the viewers. But did they make an impression on the Night’s Watch, the ones who survived the battle at the Fist and fled to Craster’s Keep? I think I would have expected Mormont and his men to have been a little bit more concerned about what drove them from their fortified encampment. The survivors arrived at Craster’s Keep exhausted and dangerously desperate, but I wouldn’t have described them as terrified. 90% of their men had been killed by ghouls who had probably human-ladder-chained their way up sheer rock surfaces. I would have imagined those ragged survivors to be madly anxious. Wight: Chaos isn’t a ladder! We are! Other Wight: Didn’t Pat use this joke before on a different post? After the mutiny at Craster’s with Qarl Tanner in charge, the mutineers settled in and seemed rather content. It seemed to me that the men at Craster’s were a bit too complacent. At least they were still putting out human sacrifices to the appease the Others, as Craster had been doing. Maybe that gave them a feeling of security. But it still seemed so nonchalant. Craster’s Wife: Oi, we have the last of Craster’s sons. Someone needs to follow the old ways and offer him to the forest. Qarl: Whatevs. Rast, you take care of it. Rast: Dammit. I hate carrying babies out into the snow. Shoot! I’d think everyone at the keep would have been more motivated in making sure this got done, and done right. In the books, we readers don’t know what happens at the Keep once it falls to the mutineers. In A Storm of Swords, Jon Snow had only a brief time between escaping from Tormund’s raiders and their immediate attack on Castle Black, soon followed by the attack by Mance Rayder. No one really thought about the mutineers. Since the show had played around with those events, a return to Craster’s was not too far out of left field. I felt it offered a chance for Jon to demonstrate some heroism, and I was not offended by the intersection with Bran and his group. But from the perspective of a book-reader, I’m convinced that nearly all of the mutineers in the books were already dead. Undead, rather, shambling along with the Others’ horde. I can imagine that the Others might have deliberately left a mutineer alive at the Keep with Craster’s wives, to make more sons for the White Walkers. Speaking of Craster’s wives, we last saw them watching their old home burn, not planning on accompanying Jon Snow and his group to the Wall. Where did they go? Did they join up with Mance Rayder and his army? Or maybe the Night’s King and his army voluntarily? After all, their sons are future members of the command structure, right? Maybe? In general, I respect the work that the show-runners have done with the adaptation of A Song of Ice and Fire into HBO’s Game of Thrones. The budgetary reality was more likely the reason than them choosing *not* to portray an awesome battle. Certainly, the impact of Hardhome was increased by the magnitude of the event, of the viewers really seeing the undead in action. We’d seen some aggressive wights previously, they’d been talked about, we’d seen the Others, but everything came to a head on such a scale at Hardhome, and the resurrection on the beach was epic. If the showrunners deliberately underplayed the Fist of the First Men in anticipation of Hardhome, then bravo to them. I don’t believe that’s actually what happened, but if they make that claim I’ll grudgingly give it to them with no evidence to the contrary. But in my opinion, they really missed the opportunity to subtly reinforce the unseen terror of the Others. Imagine how much more interesting things would have been had Bran and his crew not been captured by living mutineers, but instead witnessed the Others arriving at the Keep, to deal with the men who murdered Craster, their emissary in the human world. Luckily, the cat has been let out of the bag in regards to the supernatural menace, and unless there’s an unexpected thaw up North (no doubt caused by Stannis’ sacrifice of Shireen) we can expect the temperatures to continue to drop, but the action heating up proportionally in season six. Dreaming of a Wight Christmas… no, that’s not right. Nightmaring of a Wight Christmas? Is that even a word? It should be. I think for me, they pulled out Hardhome just at the right time. Even though they were only sporadically drip feeding us info on the wights, it still intrigued me enough to want more, whenever they decided to deliver. And that they did! 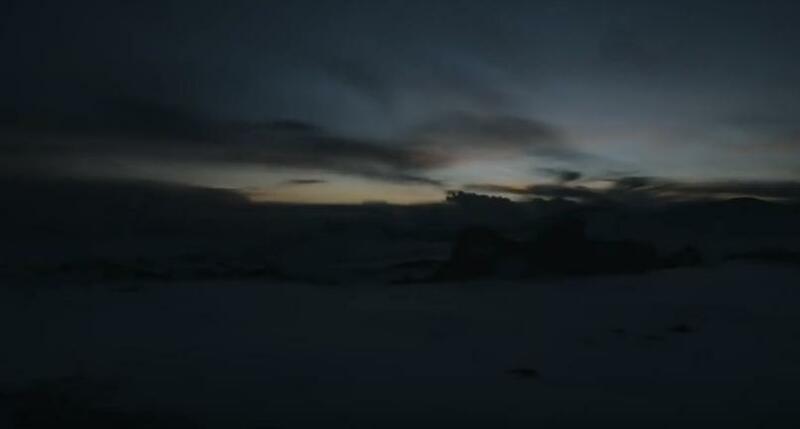 Even though prior battles would have given us more background, had they been included, I think they would have diluted the impact of Hardhome. I liked that it was a shock to the system. Almost like an intense version of when a parent tells a child, ‘Don’t do this because X will happen.’ And the kids don’t take it seriously, think it’s an empty threat until it DOES happen and then they gain a new kind of respect, because essentially their dad has the wisdom of Ned Stark who was right all along! Hardhome was great! And anyone re-watching the series now will be going Oh Shiiiiiiiiiittttt…. when the army of the dead show up at the end of season 2. “Chaos isn’t a ladder – we are!” LOL! That’s awesome! And I was totally thinking that too – that for all the size of the Wight army and the fact that wights don’t have to sleep, they still have to go slowly or risk losing bodies to cracks, holes, rivers, wandering scavengers and just their own decay. I think of the land as a hot skillet, the army of the dead as a slab of butter, and the Others standing on top of the butter as it slides across the skillet, melting as it goes. So they’re trying to go slow to conserve resources. I mean I get that the showrunners are making that choice as far as when to reveal the army– finite resources, and they want to keep people tuning in. I think they’ve done it just right so far! I love your description of the army, with hardy wights in the front, and getting less and less so in the rear. A field of crawling hands and ambulatory heads would still be crazy terrifying. I’m glad you like my Chaos Isn’t a Ladder callback. I used it first in my Defending the Wall: the Scythe post, and I was wracking my brain trying to come up a caption that was just as good. Obviously, I opted too plagiarize myself. And admit it. Thanks again! I appreciate this comment and your hot skillet analogy. But now I’m hungry. Sorry but I think its pretty obvious that the mutineers of crasters keep were killed by Coldhands when Bran sees Cold Hands dealing with the foes in the haunted forest through Summer. I am sure that not all of the brothers were out, as that might have been a hunting party, so you may be right, but at least a good portion of them ended up as “pork” that they ate after cold hands returned. You mean the undead Night’s Watch that came after Bran and his party? It certainly could have been the mutineers who made it to Crasters, but it could just have easily been Crows who were killed at the Fist. Was Coldhands fighting living or undead foes? I’m re-reading the series, so I’ll have to pay attention during that section. I appreciate your response, you’ve given me something to think about, as you perceived, I was pretty sure that we’d had no more interaction with the mutineers in the books after Sam and Gilly took off.